Kaliphorya readers, I do not want to make a habit of doing this but, like that kid at school, I can not back down from a fight when I am called out. Here we got, yet another rebuttal and yet another smack down to a misinformed Boston fan. My reply in red. Enjoy…. Hey you clown, the Bruins are currently cruising in the playoffs as the top contender in 2009 NHL playoffs and Boston University just won the 2009 National Championship in hockey, a year after Boston College won it. Like I said to Locsey, we do not care about Hockey out here, its like water polo to you guys? What is that sport? You win there. Although I will enjoy writing about the Sharks I mean Ducks, when they beat your Bruins in the finals…. Making up a curse to make yourself feel better is sad. I don’t need to feel better, my team is 2-0 in the playoffs and we are healty. Like I have said you guys played better than the Lakers last year. You are old now and the Finals are a figment of your imagination. That right there is enough to make me feel better. The curse, well I am only reporting what I am seeing. There have been a lot of injuries in Boston this past year. Pierce has flopped before I’ll give you that, but he’s earned everything spending his career in Boston and deserves nothing but respect. I give him respect, he is from Inglewood and a fellow native. Yet he did fake a knee injury and an elbow injury before that. 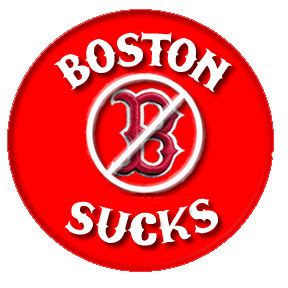 Thus bringing the curse to all Boston teams (except hockey because we don’t care about that in California). Oh yeah, Sox are now 7-6…funny how April is too early in the baseball season to assume anything, idiot. Once again I was just reporting what I was seeing. You got me again. Do you feel better? Are you in first? Ok. That is all. From 2001-2009 Boston has been the center of the sports universe, with 3 NFL Championships, 2 World Series and 1 NBA Championships, in case you forgot, with the possibility of a Stanley Cup. That is nice and fairly impressive. How about Southern California? Well for starters in 2003 and 2004 USC won the Natl championship for College Football (2nd most popular sport in the US), 2000, 2001, 2002 the Lakeshow won the NBA finals. IN 2002 the Angels won the world series and to top it off for you hockey fans the Ducks won the Stanley cup in 2007. So from 2000-2007 The Southern California area has won 6 titles. If we throw in final four appearances from UCLA (3) then that will add the total up to, 9, but hey lets not count that. To say you were the center of the sports nation is comical. And in case you forgot the Ducks have the possibility of yet another Stanley Cup. I think the Lakers have a good chance of winning it all again this year as well. How many playoff apperances do the Celtics have in your 2001-2009 span? The Lakers have 9 in the past ten years. How bout those C’s? Yeah and still all you anti-Pats people still believe everything ESPN and Matt Walsh (where is he now?) spoon-fed you on “Spygate” which has since been reduced to background noise. So are you saying it is OK to cheat? What is the matter, can you not win a super bowl without cheating? No one ever knows how long that practice was going on in the NFL, how often it was used and (depending on the plays) how much of an advantage it even gave a team. Lets look at the Rams, the greatest show on turf, how did you guys an offensive team shut down the best offense we have seen in the past 100 years. Ohh yeah, lets steal their plays and set up our D around that. Ever heard of stealing signs in baseball?Yeah, so what? Heard much of baseball teams in the past winning big games due to cheating from stealing signals? Nope, but I did hear of this one team that traded Babe Ruth. What a bunch of morons. Hey, lets compare apples to oranges….I didn’t think so. No matter what. What Boston has done with its sports dominance is up there with Pittsburgh’s multi-championship years and New York’s. Didn’t the Angels and the Lakers win the title in the same year? Know your sports history bro. Something West Coast cities have yet to achieve. I think we did achieve this? Have fun with your small markets! You do know that Boston has a population of 599,351 ranking number 23 in the United States. Los Angeles has 3,834,340 and ranks second. Check it out How does this make us a small market and you a major market? Just because ESPN HQ is closer to Boston does not make you a major market. You’ve got nothing to say to just bow because the sun rises in the east mother fucker! I don’t get why I have to bow down. You should bow down, because the sun sets in the west. True the sun does rise in the east, so does that mean you bow down to the Brits? After all your town was named after one of theirs. Silly Boston fan, get your information together before you embarrass the rest of your sports nation next time. On one final note, have I really pissed you off so much that you feel the need to use profanity? Way to keep it classy. Kaliphornya is recieving all kinds of hate mail due to the newest article about Boston and the curse I have created. A good friend of mine and fellow Angelino also has recieved vast hatemail from bitter Boston fans. He takes the hate mail and then makes a blog about them. I figure this to be a great idea. Here is my attempt to respond to the hate mail. Horrible article. Really, because a lot of people have told me they enjoyed it. Do you know that “I like” button on facebook, yeah like 10 people clicked that for my article. I guess that is just your opinion. How can it be a curse if they went out and won the title after the incident? Yes they did win the title last year. They were supposed to win it again this year, but from the looks of it they are not due to KG’s injury. Hey “anything is possible” (said in a douche voice crying like a girl) Only time will tell. Usually curses bring you bad luck, not championships. Was Tom Brady getting injured bad luck? B’s are a 1 seed…where’s the curse?By B’s do you mean Bruins because I really don’t follow hockey. Its not that important to us out here. You got me, no curse there. I will enjoy writing a blog about how the Sharks beat them though. Sox not playing well after 9 games…that’s a curse? WTF? Yes it is early but, you guys did let Manny go last year and he is quite happy out here. Maybe that’s another curse I can create. Is Ortiz healthy this year and was he healthy last year in the playoffs? He had an unreal series against the Rays. There’s 153 games to go. Let’s not get ahead of ourselves. Then you say “You look at their DL and some big names are on there”…Jed Lowrie? Lugo? Kotsay are big names? I’ll give you Dice, but Smoltz was brought in knowing that he wouldn’t be ready to start the season…that is a curse? Ok sorry, not big names but medium sized names. You got me again. Gimme a break, gimme a break, break me off a piece of that kit kat bar…..
Horrible premise for an article trying to be clever – failed miserably. Maybe you will get my whit the second time around when you read my rebuttal to your comment. I think it is clever. Hey every man has his own opinion. Thanks for the traffic. At least you had class and wished Danny Ainge well…Yes some would say I am classy, like the Patriots, ohh wait didn’t they cheat a couple years ago to win the super bowl? Just playing I bet you are classy as well. Thanks for the love Big Jim, I enjoy your passion….. 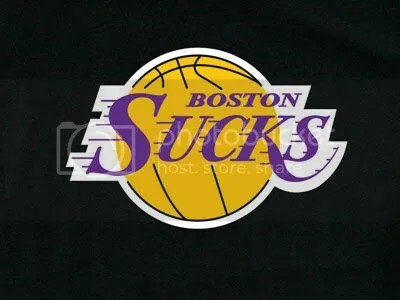 If I lived in Boston I would hate Los Angeles as well…. The self titled Starbury is free from NYC. He is set lose in the NBA just in time for the the Boston leprechauns to pick him up. All bean land fans are hoping that they truly can pull all of that luck out of the weed they have as their half court logo and not have mr selfish ruin their aging team. I can see it now. Stabury is going to be taking time away from Rajon Rondo. Rajon will be pissed his PT is down and start getting pissed in the locker room, practice, and time outs. That team fusion KG and Jesus Shuttleworth brought to leprechaun land will be tested. Guys will be split. Marbrry is going to demand the lime light and not buy into the system. When it comes down to it, the guy who has the ball has all of the power. Do you truly think that after five games Marbury will pass the ball when its time to be a hero? I don’t think so. The C’s once they do land Marbury is like having a brain transplant that has Cancer. It will spread throught that locker room faster than the leprechaun bounces away with that pot of Gold. Brining Starbury into the Boston de-compost pile will officially make the NBA finals this year be a match up between the Cavs and Lakeshow. It is ever so apparent that Boston is one year older and one year slower. To counteract this they are going to bring in a selfish, hotshot hoopster that is not going to fit in the system. The beans are afraid of the depth of the lakeshow. This dumbest thing the C’s could have done last year was let PO-Z go. I am predicting it now that they don’t make it past the Cavs and we will finally get to see Kobe face Bronbreezy in the NBA finals where it will be ever apparent that KB24 is the true MVP.